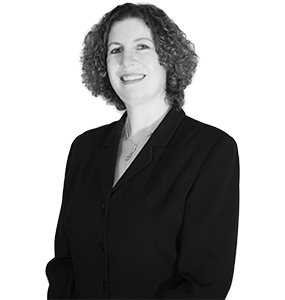 SHERRY B. SHAVIT is a Partner in the Firm’s Sherman Oaks, California, office. 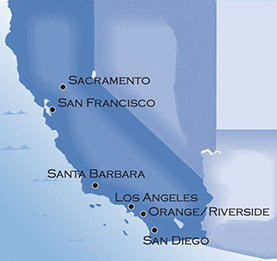 She represents employers of all sizes, from Fortune 500 companies to local businesses, on a wide variety of class, representative and individual matters including wage and hour requirements, medical and disability leave, discrimination, harassment, retaliation, wrongful termination, breach of contract and other actions, jury and bench trials in State and Federal courts, and routinely assists in hearings before governmental agencies such as the DLSE, DFEH and EEOC. She also provides professional assistance on administrative matters such as employee handbook preparation and updates, the implementation/enforcement of policies and procedures, anti-harassment training, workplace investigations, workforce reduction/layoffs, proprietary information protection, and unfair competition concerns. Obtained decertification of previously certified off-the-clock class. Convinced Ninth Circuit to vacate District Court’s certification order of meal period class, including exclusion of individuals subject to arbitration agreement with class action waivers (2015 U.S. App. LEXIS 3657). Defeated class certification in overtime, meal and rest period case (2014 U.S. Dist. LEXIS 125311). Had partial summary judgment granted on overtime and meal period claims on preemption grounds (2014 U.S. Dist. LEXIS 124134). Prevailing party in Securitas Security Services USA, Inc. v. Holland, 197 Cal.App.4th 115 (2011) (reversing trial court’s ruling on key wage and hour issue for employers with employees working graveyard shifts). Reversal of class certification order on wage and hour issues by Fourth Circuit. Writ petitions for review granted in Ninth Circuit and California Court of Appeals. Won summary adjudication motion on wage issue that resulted in dismissal of class claims in two lawsuits. Won summary judgment in wrongful failure to hire case for technology consulting & outsourcing business. Won summary judgment in two race and wrongful termination cases for an aerospace company.